I'm a freelance illustrator, senior concept artist and character designer with a broad experience in the game industry. I have worked at several companies before starting as a full time freelancer, see the LinkedIn link below for more info. 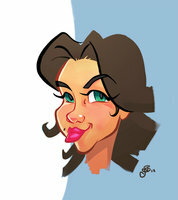 I'm also drawing 2D art for (comic) books and covers, animation art and toy design.